When my older son was in kindergarten, I remember him coming home with a ring and a stack of cards to learn his sight words. I had been working with him on reading and basic core skills to get ready for school. Below are a few of our favorite apps that we used when he was in kindergarten and first grade. Each of the apps highlighted focuses on a specific academic skill ranging from spelling, geography, problem solving, reading, word families, sight words, space and more! I am glad that these apps helped to give my son some of the tools to succeed in school. Spelling Hangman by Emma Mills, is a new, exciting way, to practice the spelling words given each week. I work in an elementary school and “spelling” is no longer the term used; however, a similar concept exists. This app allows a child/student to work on their given words through a more enjoyable mode. Spelling Hangman allows the facilitator to record the words they wish to be practiced through a “Configure Test” option. This option allows the words to be set up under a given name such as “week 1”, or “ar words”, etc. As a speech-language pathologist, I believe this could be utilized within the therapy room as well. When working with a group of students focused on a particular sound (“r”, for example), the therapist could program in those words, allowing the students to try and guess words with “r” in them. Just an SLP’s twist on a general education app! Read the full review. World Of Liberty Paintings, Planes and Pioneers by World of Liberty. Each of these interactive storybooks takes you on an adventure which involves the United States and a country connection to another country. Other apps in the series include It’s Raining Pumpkins in Delaware and Chicago’s Green River Leads to the Emerald Isle!. These universal apps for iOS encourage kids to learn about history in a fun way that doesn’t make them realize they are learning. This adventure features the state of Kansas and a school field trip to the Air and Space Museum where Liberty learns about Amelia Earhart and her red Vega plane. The characters in the story are: Liberty Lane (the primary character), her toy eagle Georgie, her toy plane Truman and her dog Ellie as they adventure around the world. Her classmates, Tobi and Mei Li are also featured at the beginning of the story during the field trip and help her make the first connection about Amelia and her flight. Each story features “read to me”, “read to myself” and autoplay modes. The app also features word highlighting as the text is read along with audio narration and background sounds. Read the full review. Build with Grandpa by Fairlady Media is universal app for iOS designed to help kids with a variety of building as well as teaching them about environmental re-use as kids knock down buildings, drive a construction truck and design a new home to be built. 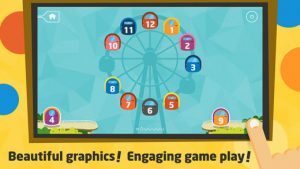 The app includes six mini educational games which require choice of equipment from a field, addition which items add up to x number, painting, decorating, designing a house and more! 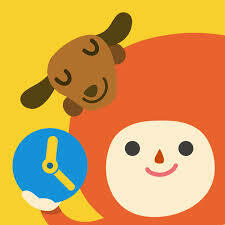 It appeals to preschool, toddler and elementary school depending on which things your kids like to do with the app. Skills practiced in the app include, math to number 9, literacy through reading and identifying words, design, creativity, landscaping, problem solving, cause and effect. It also teaches skills about construction and how you go through the process of building something. Read the full review. Professor Astro Cat’s Solar System by Minilab Ltd is a fantastic app to get children excited about the great outer space. It is based on the book Professor Astro Cat’s Frontiers of Space, by Dr. Dominic Walliman (quantum physicist) and Ben Newman (illustrator). It teaches astronomy in an a way that is interesting and easy to understand. The graphics in the app stays true to Ben Newman’s illustrations and has a beautiful retro look and feel. Professor Astro Cat’s Solar System explores the sun, planets, moon, and space travel. There are four areas of learning. First, on the left side of the screen are what I like to call fast facts. These are bits of trivia that are explained further when you click on the (+) icon beside each fact. Both trivia and detailed explanations contain only a sentence or two, making them easy to learn and remember, never overwhelming. Second, the planet/sun/moon unzips to reveal what it looks like inside For example, the earth unzips to reveal the core, mantle, and crust. Read our full review. Stack the States 2 by FreeCloud Design’s Dan Russell Pinson. You learn state capitals, cities, shapes, landmarks, flags and then after you answer a question correctly you can drop the animate state on the screen – but watch out if you are not careful your hard work tumbles away! After successfully completing each level, you earn a new state. 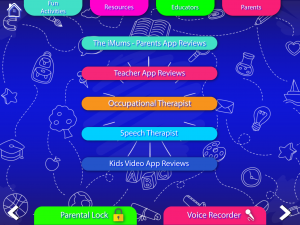 The app allows you to set up multiple profiles so a parent can have a different profile than kids or multiple kids can play and the app can narrate and be based on what they have completed so far. The app includes an interactive map with major cities and a 3D visual of each state with 10 different 3D scenes with various locations – we loved New York, Hawaii and Chicago the most especially the dolphins jumping. Skills targeted include trivia, geography. Read our full review. The Sounding Out Machine – Assistive Reading Device by FizzBrain is an iPad only app that helps kids who are reading to focus in on specific words that they may not know. The app allows you to take words in three forms and then sound them out. 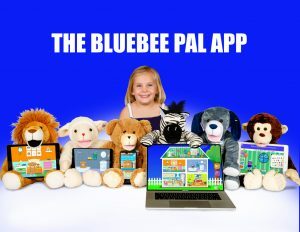 This app can be used with preschool through elementary school and is great for emerging readers. By learning how to break a word down, they are more successful and ultimately that leads to more reading because it is fun rather than “something they have to do”. It presents with a screenshot of the different types of reading modes. You also create a profile for each child so that you can track the types of “hard” words on a daily, weekly and monthly basis so you can see change over time in reading comprehension. The three modes of the app are: Camera mode – take a picture of the page of the book using your iPad; Library mode – Take a picture ahead of time, save it on your camera roll and open it when reading; Typing mode – Type in your own word. A great app to practice word decoding skills in a fun way that doesn’t have the pressure of making a mistake in front of the teacher or let’s kids practice on their own. I have seen great improvements especially in “hard words” and my son is asking to read now rather than being “forced” to. Read the full review. Piiig Forest Explorer: Natural Science for Kids by Piiig Labs, is an app designed to introduce little ones to the few forest animals. It is an early science app, best suited for children up to first grade, and can be played in 8 different languages: English, French, Japanese, German, Swedish, Russian, and Chinese. The game begins with a chipmunk peacefully sleeping inside its burrow. When you tap on the chipmunk it awakens and scampers up, revealing that the opening to its burrow is a hole in a tree stump. Now it’s time to explore the forest to search for food and meet some new friends. Guide the chipmunk by tapping the area on the screen you want it to go to. Read the full review. Wonster Words by 77 Sparx Studio is an app for iOS which teaches kids words using word families, phonics, vocabulary words and digraphs in a fun interactive way using monsters as the underlying theme. For example, the word families for “at” include “splat”, “cat”, “rat”, “bat”. First you make the word with letters then you see a variety of ways it is illustrated “baseball bat” or “bat” the animal. After completing the word, you move on to see it illustrated and then used in a “real world” setting. 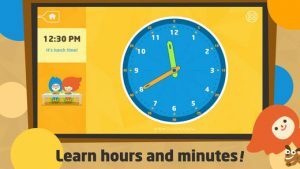 The app is targeted at older preschool and early elementary aged children as it captures a number of sight words and can be used by pre-reading children as well as those working on sight words. I loved when you were making words that the letters are sounded out individually as that helped my son clearly understand each of the words and the sounds that they made as well a describing what the word did. For example, “hike” showed the word and then a nature hike. There’s a nice carry over of skills here that encourages kids to engage in a fun way and continue using the app. I also liked that you could scroll through the app and look for specific word families to practice on – my son in particular struggles with the “th” since it’s silent at times and he did well with this lesson and was able to practice the words in real time. Read the full review. 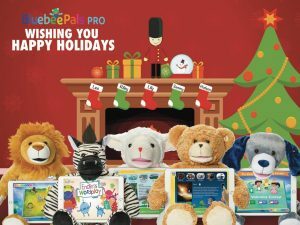 Rhyme to Read by Rhyme to Read, LLC is an iPad only app designed to help your preschooler through early elementary aged student learn skills that will help them learn to read. The program which does include in-app purchases to purchase up to twenty books individually or via a bundle if you choose to buy them all at once. The app features word families with similar sounds (cat, sat, pat) and helps children to understand different reading patterns. Children should be able to recognize letters and understand how sounds go together before beginning the reading process. Each book builds upon the previous one, so if you enjoy using it you should buy the package via one in-app purchase rather than buying the volumes individually as they build upon each other. The app was originally a set of print books by Sarah Hines and Lynn Klairman, the cost of the print books was too expensive to maintain so they decided to turn them into an interactive app to help reach a wider audience. 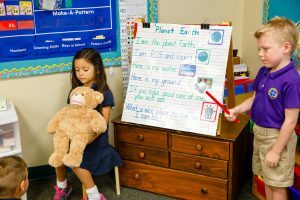 The books teach a variety of sight words and practice the previously learned sight word patterns as they progress within the series. At the end of each “book” you can see a list of sight words listed in the program thus far (which gets longer with each book) and then a list of word families that have been learned. Read the full review.